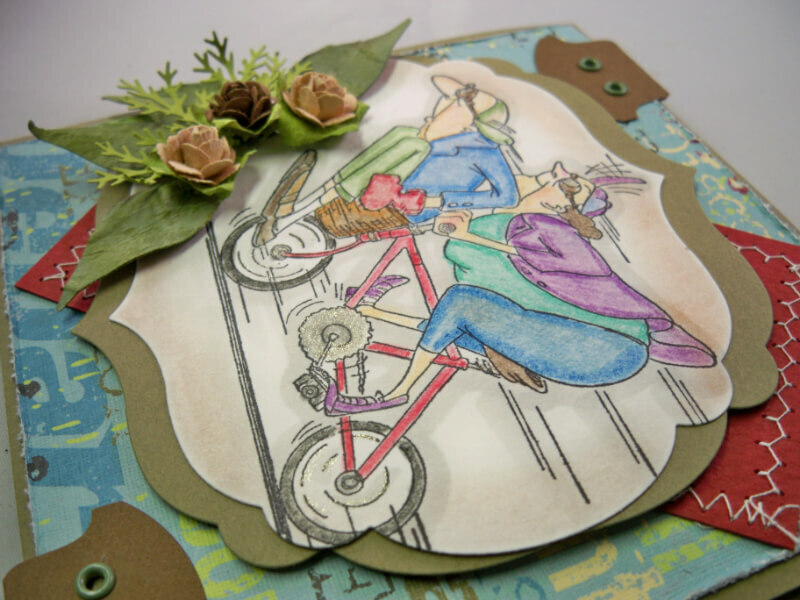 Today I wanted to make another card using this fun stamp of the Bikers , how much fun do they look like they are having , you truly need to have trust and faith to ride on the handle bars of a bike , let’s see.. when was the last time I did that ??? Oh yeah , like when I was 9 …lol .. I give props to this couple they have it going on . 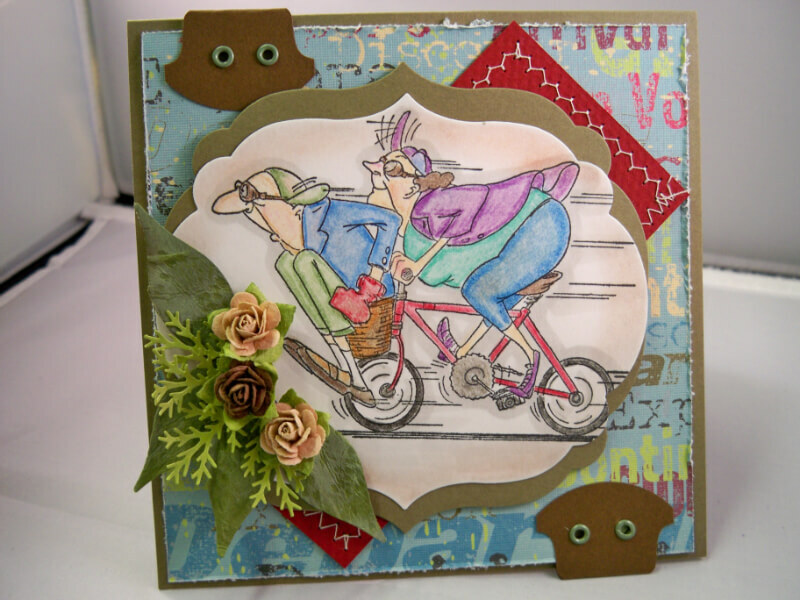 I this is what Ai stamps do they make you think what the back story could be , the Golden Oldies line of stamps are so much fun , I hope my Golden years are filled with half the fun this line displays .Thanks Ai for bringing us stampers such an awesome line of stamps to get inky with . 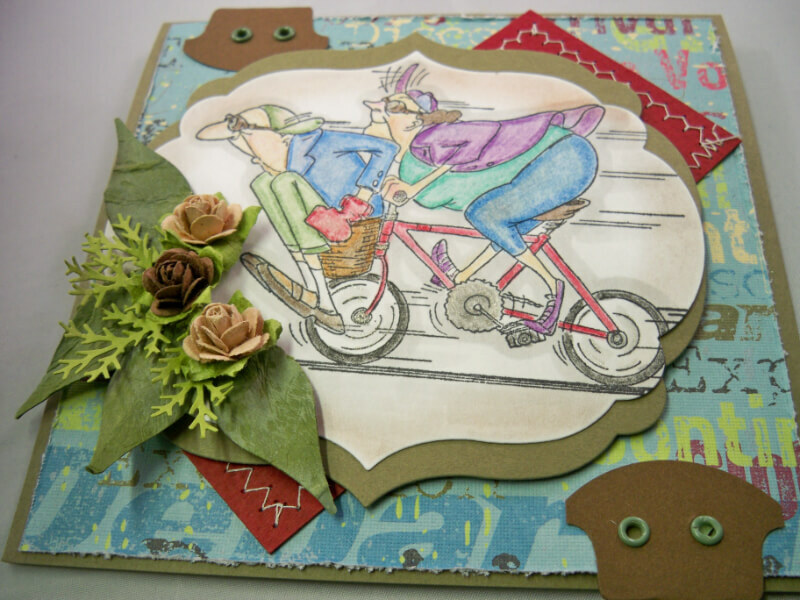 Today I chose to use my colored pencils again , I know not everyone has made the investments into the copic markers and I wanted to show that even your kids colored pencils can make these stamps pop off a card .Thanks so much for stopping by and be sure to come back tomorrow for the Ai Thursday challenge , the Ai design team has some gret cards to share .